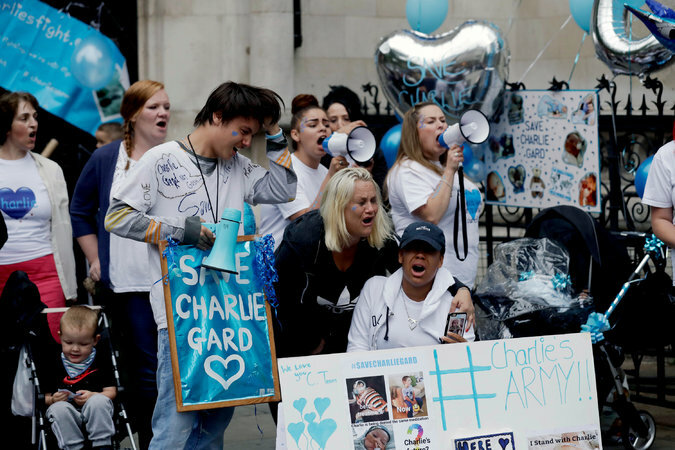 The recent, heartbreaking story of Charlie Gard, the U.K. infant whose parents battled to keep him on life support and seek experimental treatment for his genetic disorder in the U.S., over the objection of his doctors, highlights an issue that all healthcare organizations need to think about. Wikipedia defines “cause célèbre” as “an issue or incident arousing widespread controversy, outside campaigning, and heated public debate. The term is particularly used in connection with celebrated legal cases.” Sometimes, the célèbre part becomes literal, with celebrities voicing opinions on one side or the other. In the case of little Charlie, everyone from Donald Trump to Cher to Pope Francis weighed in to either offer assistance to the family or implore the hospital to bend to the wishes of the parents. There was massive public pressure on an institution that sincerely believed they were making the best medical decision given the circumstances – and which was no doubt concerned about their legal liability should the baby die when removed from their premises. This kind of wellspring of sentiment, public opinion and media coverage is, fortunately, rare. But even stories that don’t generate words from world leaders or pop icons can become maelstroms at the local or regional level should word get out that a patient or their family is being “denied” free will or certain rights by a hospital, particularly where end-of-life is concerned. And usually, it’s the family – or one member – purposely trying to support their cause when they clash with the hospital or another relative. Telling your tale of perceived oppression to a TV reporter can be a powerful way to influence public opinion…and exert pressure on the other party. When this happens, healthcare organizations need to tread lightly. Aside from navigating HIPAA rules on patient confidentiality, communications staff must deal with the natural human belief that we all have final authority over our personal health, or that of our children. Then there’s the legal aspect: doing the morally “correct” thing may be in opposition to legal requirements. For example, the compassionate move may be to take a patient who is virtually brain dead off life support, but the patient may have an advance directive prohibiting it, or in the absence of one, family advocates opposing it. In the case of Terri Schiavo, the Florida woman who was in a persistent vegetative state, her husband and legal guardian sought to remove her from life support while her parents fought to prolong her life artificially. Prolonged legal battles, with the hospital and Schiavo’s doctors as key witnesses, caused a seven-year delay before her feeding tube was ultimately removed in 2005. Her name remains a flash point for patient and spousal rights. Designate a single spokesperson for the hospital or organization, but be careful in your choice. An executive might come off as more concerned with preserving reputation than the good of the patient or family, while the treating physician can credibly fall back on what’s best clinically in the circumstances. Think long and hard before trotting out a lawyer to speak for the organization. Remember HIPAA. Talking specifics of a particular patient’s care is a no-no, even if the family is going in front of every reporter they can find. Limit comments to policy, protocol, and information already published elsewhere. Expect fallout, and be ready for it. One of the best ways to defend your organization amid a public hue and cry is to demonstrate that you are adhering to standard procedures and protocols, and there’s nothing different or personal in the case at hand. The public needs to see that your organization acts legally and professionally, even if they disagree with your stance. Be available. Despite the heat, offer opportunities for the media to have their questions answered, either one-on-one or during a press conference. Don’t bury your head in the sand. Stay off social media. There’s little to be gained, and much to lose with a misstep, by posting or tweeting in a sensitive situation. However do share any public statements you’ve issued after you’ve disseminated them by other, more traditional means. Know when to fold ‘em. Sometimes, a story will wane after a news cycle or two, or when the public gets consumed by something else. Don’t proactively reignite it through unsolicited statements. If courts are involved, don’t go out with news of even favorable rulings, but be prepared with a statement if the media seek you out. Things can get highly charged when a controversial patient comes through your door or emotion clashes with clinical care. No institution wants to be in a volatile situation, but if a patient does become a cause, level heads and a reliance on existing protocols will keep you on the high ground.